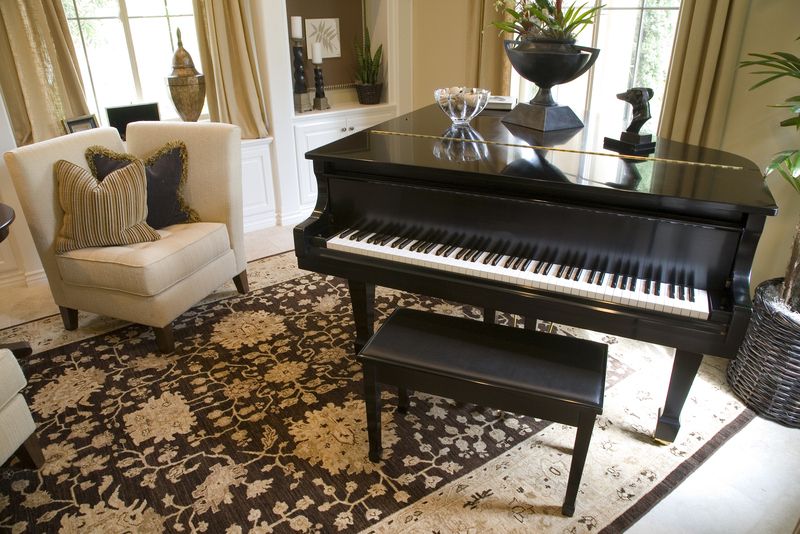 Rugs have slowly and steadily become a necessity for homes. Whether you are furnishing a bedroom, living room, drawing room or even dressing room, the presence of a rug has inevitable. When we think of rugs, the traditional-style rug is something that strike the chords instantly as modern rugs have entered the market lately and taken the home interior designers in Pakistan with a storm. Their availability in wide-ranging colors and stunning designs is not just what defines them. In fact, there are several other differentiating features that separates contemporary rugs from traditional ones. The modern rugs have taken inspiration from the contemporary artists and comprises geometrical shapes, swirls, mono-blocks and other design patterns to match a home’s décor style. The bold patterns that incorporate vibrant colors in fact is a trademark of modern rugs. What are the Benefits of Modern Rugs? No matter, your home is contemporary or traditional, a modern rug will always add an enthralling contrast to your room. A modern rug has the ability to cheer up any dull decor. Depending on how intelligently you have selected the rug style for your room. Also, it could help you enhance the existing features of your room. All those who want to make a statement about their taste should opt for a modern rug. Where can You Place a Modern Rug? The modern rugs are not designed for any specific place in a house. They are all-rounders that could be placed anywhere in the home from a living room to bedroom, drawing room to dining. The wide-ranging colors of your rugs are suitable for every room. The expert interior decorators in Pakistan make use of modern rugs with vibrant diamond patterned rugs or block patterns to brighten up the dull looking rooms. Which Materials are Used in the Making of Modern Rugs? The modern rugs are available in different shapes, sizes and materials. Most of the modern rugs are made out of natural fibers that include cotton and wool. Some of them are also made out of stain-resistant man-made fibers. In Pakistan, you may also find an extensive variety of hand-finished modern rugs as well as those made entirely on machines. The rugs are hard-wearing floor coverings and are therefore a long-lasting solution for home decor.